Businessman John Singleton seems certain to recoup a dividend on a multi-million dollar investment with Miss Fabulass living up to her heritage by posting a Canterbury win at her first start as a three-year-old. Singleton paid $3.85 million for the filly’s dam Samantha Miss whose first three foals have posted restricted wins. The gamble to send Samantha Miss to the other side of the world to be served by the unbeaten champion Frankel could reap much higher dividends with Miss Fabulass to step up to Group company following Wednesday’s win. Like dual Group One winner Samantha Miss, Miss Fabulass is trained by Kris Lees and finished second at her only start as a two-year-old. After six scratchings, the field for Wednesday’s 1100m maiden was reduced to three with Kerrin McEvoy removing any tactical concerns by taking the $1.50 favourite to the front and rating her to perfection. Ranier ($2.60) momentarily looked a threat but Miss Fabulass switched up a gear and beat him by 1-1/4 lengths under hands and heels. “I paid a whole lot for her mother, double what I wanted to,” Singleton said. 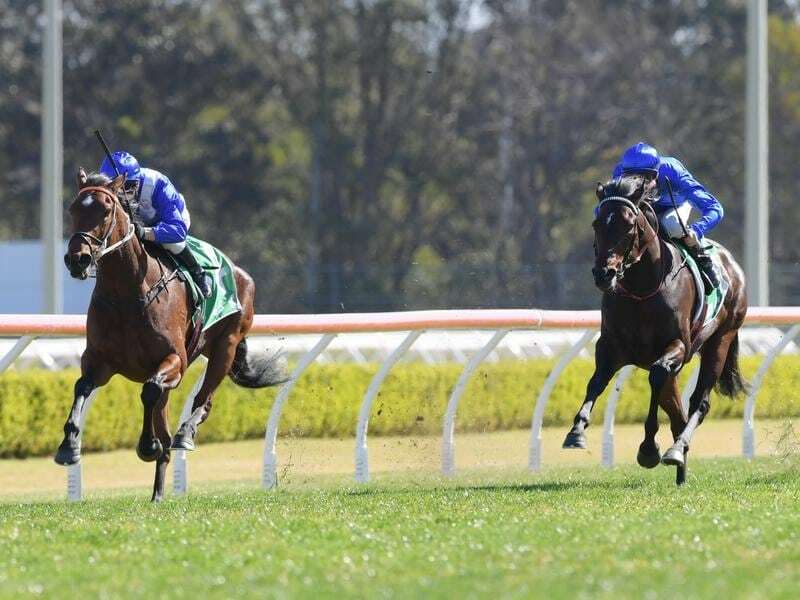 Lees said Miss Fabulass would now go to the Group Two Furious Stakes at Randwick on September 1, the second leg of the four-race Princess Series which begins this week with the Silver Shadow. “She will take benefit from today and head to the race two weeks from Saturday,” he said. At the same age, Samantha Miss was somewhat more experienced having won the Group One Champagne Stakes as a juvenile. She made a clean sweep of the Princess Series which culminates in the Group One Flight Stakes (1600m) and went on to run third in the 2009 Cox Plate (2040m) won by Maldivian before her win in the VRC Oaks (2500m). Whether Miss Fabulass gets up to those distances remains to be seen but McEvoy is sure she can keep improving. “It’s nice to see her win. She has grown up a lot mentally,” he said.